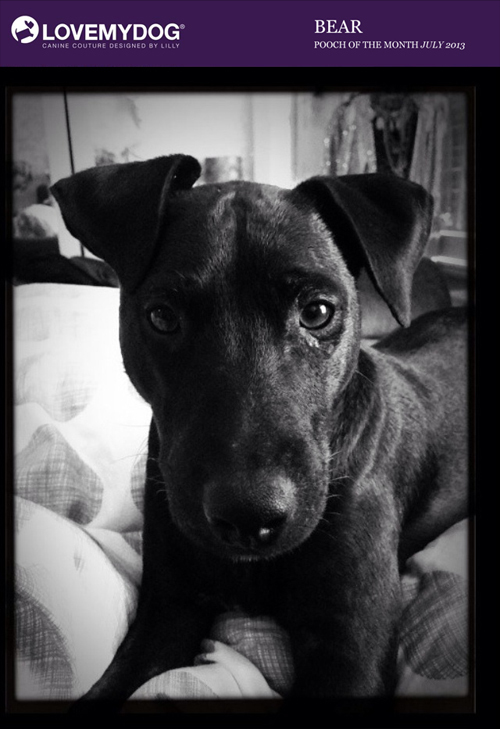 Congratulations to Bear, who is our latest ‘Pooch of the Month’. Keep an eye out for the postie Bear as a Bow Wow Tie is on it’s way to you! Why not send us your best pooch pics? You could win something from the LoveMyDog collection, and all the monthly winners are entered into a annual draw to win a bespoke fitted dog coat worth £1000. Its really easy to enter our Pooch of the Month competition, just click the competition tab on our Facebook page.